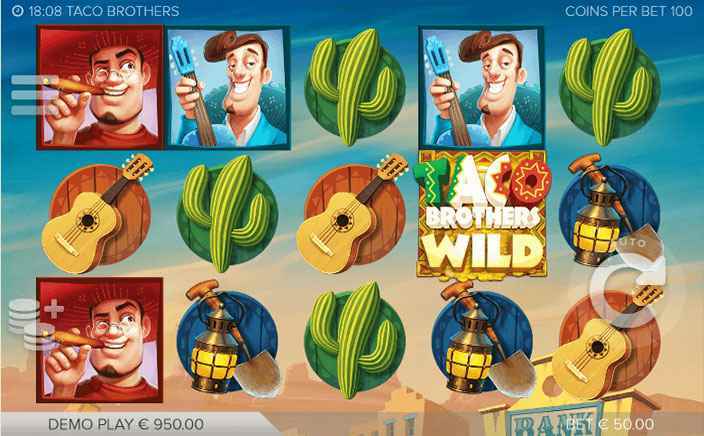 Taco Brothers slots bring to you the ugly fight between Captain Diaz and three brothers Pico, Pepe and Paso in 1881, Mexico. This super animated slot features Captain Diaz who is eating away all the Tacos of the town. The three brothers along with their friend Senorita want to even out this with him. The slot features interesting symbols and a mouth-watering free spins round which is played on a different 5 reel matrix. The slot proves to be a real entertainer with an interesting piano soundtrack in the background of the gameplay. The developer, ELK Studios is a Sweden-based developer who has entered the industry very recently in the year 2012. Since then, they have created 8 games and all of them have a completely sound technology, animation variety, and gameplay. The payouts though are not very lavish as compared to some of the industry giants but quite enough to the extent to make you try their slots at least once. Taco Brothers slots is laid over a 5×3 matrix. You will be delighted to watch the symbols of a guitar, a cactus plant, a bottle of tequila, a mining lamp, a spade, and a golden bell creating winning combinations for you. 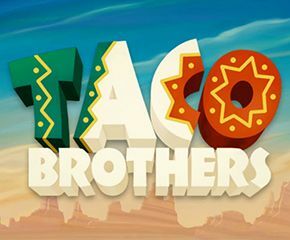 The Taco Brothers wild written in colourful letters is the wild symbol. A random hand appears on the screen with a bomb in hand to activate the bonus round. You need to have 3 safe symbols to trigger the feature. The bonus feature or the Wild Escape feature gives you the round of free spins. Along with it, there is a random multiplier that is awarded to you for each of your wins. The maximum multiplier is 3x of the stake amount. The free spins feature appears with one of the brothers on reel 5. They move one step to the left and act as moving wilds. Captain Diaz appears on the screen to stop the moving wild in their tracks. Thus, they stand jailed between the reels. The gorgeous Señorita comes to their rescue and instantly unlocks the locked brother. As the wild starts moving, Senorita offers further free spins. The bonus feature ends when all three of the brothers are locked or released. Immediately start off with the bet as the lowest bet begins from 10p per spin and go up to £50 per spin. Along with a soothing piano soundtrack, the developer has also incorporated various animal sounds in the gameplay to give you an ultimate feel. Taco Brothers slots reels are elegant to look at with the brothers, Senorita and Captain Diaz looking as the cartoon characters of a comic series. The overall presentation of the slot is a real thumbs-up!